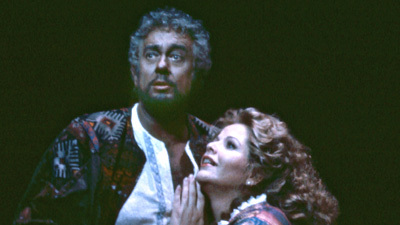 Plácido Domingo, the leading Otello of his generation, gives an intensely emotional performance as the great warrior destroyed by jealousy in this broadcast of Verdi’s towering Shakespeare adaptation. 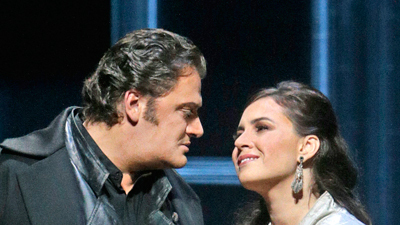 Aprile Millo is his wife, Desdemona, the innocent woman at the center of the web of deceit spun by the villainous Iago—sung by James Morris, who celebrates 25 years at the Met with this performance. Music Director James Levine presides over the company’s musical forces.